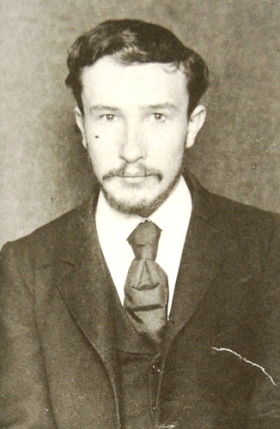 Boris Viktorovich Savinkov (Russian: Бори́с Ви́кторович Са́винков) (19 January 1879 – 7 May 1925) was a Russian writer and revolutionary terrorist. As one of the leaders of the Fighting Organisation of the Socialist Revolutionary Party, he was responsible for the assassinations of several high-ranking imperial officials in 1904 and 1905. Later, he became Assistant War Minister in the Provisional Government. Savinkov emigrated in 1920, but in 1924 he made an endeavour to return to the Soviet Union, was arrested and either was killed in prison or committed suicide. Savinkov was born in Kharkov (Kharkiv), the son of a judge in Warsaw. In 1897 he entered the law department of St. Petersburg University but was expelled in 1899 because of participation in students' riots. Later he studied in Berlin and Heidelberg. Since 1898 he was a member of various socialist organizations. In 1901 he was arrested and sent to exile to Vologda. He served the exile with some prominent Russian intellectuals including Nikolai Berdyaev and Anatoly Lunacharsky. However he became disappointed with Marxism and shifted to terrorism. 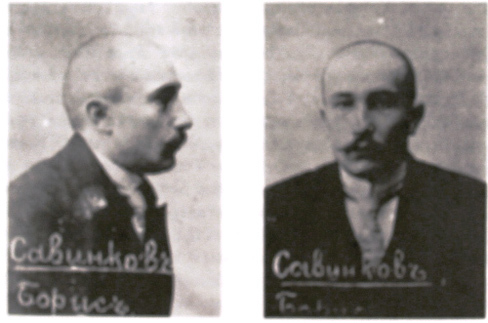 In 1903 Savinkov escaped abroad and joined the Socialist Revolutionary Party, where he soon became Deputy Head of its Combat Organization under Yevno Azef. For his assassination of Russian Minister of Interior Vyacheslav von Plehve and participation in the assassination of Grand Duke Sergei Alexandrovich of Russia, he was arrested in 1906 and sentenced to death. However, he managed to escape from his prison cell in Odessa and found refuge in exile. When Azef was revealed as an agent of the Okhrana in 1908, Savinkov became the head of the Fighting Organization, but it was too weak to conduct any serious operations. While in France Savinkov participated in World War I as a volunteer in the French Army. He returned to Russia in April 1917, several months after the February Revolution, and in July became Deputy War Minister under Alexander Kerensky. However, on 30 August he resigned from the government and was expelled from the Socialist Revolutionary Party due to his role in the uprising of General Lavr Kornilov in September 1917. He remained in Russia after the October revolution, and organised a new counter-revolutionary organisation called the Society for the Defence of the Motherland and Freedom, whose HQ was at 4 Molochny Alley in Moscow, where his deputy Dr Grigoriev maintained a medical establishment as a facade. As a leader of the Society for Defence of Motherland and Freedom, Savinkov organised several armed uprisings against the Bolsheviks, most notably in Yaroslavl, Rybinsk and Murom in July 1918. After these were crushed by the Red Army, Savinkov returned to France. There, he held various posts in the Russian emigre societies and was the main diplomatic representative of admiral Aleksandr Kolchak in Paris. During the Polish-Bolshevik War of 1919-1920 he moved to Poland, where he formed a Russian political organisation responsible for the formation of several infantry and cavalry units out of former Red Army POWs. 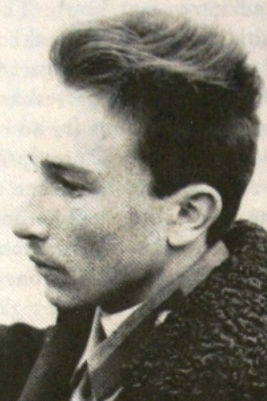 Together with Merezhkovsky, he published in Warsaw a newspaper entitled «За свободу!» ('For Freedom!). In October 1921, when the Polish-Bolshevik War was over, Polish authorities sent Savinkov out of the country in order not to spoil relations with the Soviets. Boris Savinkov wrote several books. His most famous are an autobiography, Memoirs of a Terrorist, and a loosely autobiographical novel called The Pale Horse. Savinkov's works raised huge controversy among SRs. Many of them disclaimed them as "spoofs" on terrorism. 2004: Karen Shakhnazarov directed a film entitled The Rider Named Death, based on Savinkov's novel, The Pale Horse. 1983: Savinkov was played by Clive Merrison in the BBC miniseries Reilly: Ace of Spies. The Pale Horse (novel), 1909 (English edition 1919), Russian: Конь бледный (Kon bledni) - published under the pseudonym "Ropshin"
What Never Happened: A Novel of The Revolution, 1912 (English edition 1917), Russian: То, чего не было (To, chego nye Bilo) - published under the pseudonym "Ropshin"
Spence, Richard B. Boris Savinkov: Renegade on the Left, Columbia University Press, 1991. Wędziagolski, Karol. Boris Savinkov: Portrait of a Terrorist, Kingston Press, 1988. This page was last modified on 11 January 2016, at 19:27.